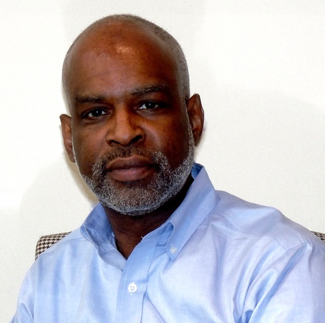 Troy J. Bailey has 34+ continuous years of experience as a Legal Assistant/Paralegal. He began his career when he joined the United States Marine Corps and received his training as a Legal Specialist. Upon being Honorably Discharged, Troy went on to work for two New Haven, Connecticut law firms (Berdon, Young & Margolis, P.C., and then DiPietro, Kantrovitz & Brownstein, P.C.) prior to coming to Darien. Since January 1996, Troy has worked as Mark R. Carta’s Paralegal providing legal support in the practice areas of Employment Law, Civil and Probate Litigation, and Alternative Dispute Resolution. As the firm’s long-standing clients will attest, Troy’s professionalism and depth of experience make him an invaluable member of the firm’s litigation team. In his personal life, many view Troy as an inspirational speaker and dedicated personal counselor. Through volunteer work, Troy has held positions as a representative participating in local, state, national and international discussion forums on social issues. As a “seasoned” antique collector, Troy has a preference for ornate eighteenth century French Rococo and nineteenth century Victorian furnishings. A Greenwich, Connecticut native and graduate of Boston University, Robin attended the University of South Dakota, School of Law. Upon graduating from law school, Robin clerked for Associate Justice Richard W. Sabers of the South Dakota Supreme Court, and taught principles of tort law at South Dakota State University. Following her husband’s commission to the U.S. Air Force JAG Corps, Robin worked in the legal field in numerous places stateside, most notably as in-house counsel and executive assistant to her mentor, S. David Childers, former Director of the Arizona Department of Insurance and founding principal of Low & Childers, P.C. Thereafter, Robin worked extensively in the area of personal injury law before taking a hiatus to be a full-time mom to her son, Nick. Shortly after her family’s return to Connecticut, Robin attained the position of Family Law Paralegal and Executive Assistant to Darcy S. McAlister, at Carta McAlister & Moore (“CMM”). 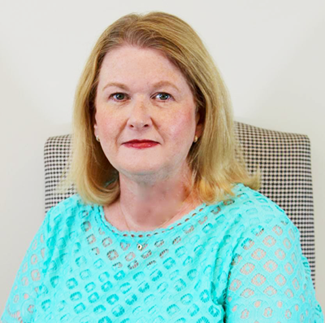 Throughout the six years Robin has served as Darcy’s paralegal, her ability to blend compassion, sensitivity, civility and discretion against the highly emotional landscape of divorce practice has endeared her to CMM’s clients. Robin believes these attributes, coupled with a great sense of humor and the willingness to work hard, are essential to establishing trust and building an excellent working relationship with the clients she serves. A self-confessed pop-culture junkie, when not working at CMM, you will most likely find Robin checking out what’s trending in New York City. Lisa is our residential real estate paralegal. 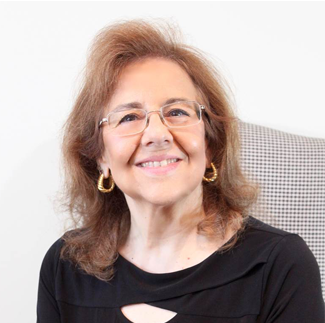 She has nearly 40 years of experience working for law firms in Fairfield County and Maine and is widely acknowledged to be among the best in her field. During this period, she has developed strong relationships with our clients, lenders, title insurers, other paralegals. Lisa’s experience, attention to detail, and commitment to individual attention results in a closing process that is as seamless as possible for both sellers and buyers. Lisa is a graduate of Green Mountain College in Vermont, the University of New Hampshire, and Fairfield University’s paralegal certificate program. She is a life-long resident of Connecticut having been born in Norwalk and raised in Weston. Lisa has resided in Greenwich for over 30 years.